Hello there, Belle! I'm currently looking for someone to try a Skyrim-themed RP, if that's your cup of tea at all! Modern fantasy, hmm? Well, I do have a sort of slice-of-life idea, though it's more of a friendship/adventure plot! Hey; Idk if you never got my response or- what but were you still wanting to do our Originals rp? We had barely started and I was rather excited for it. so a plot where supernatural creatures (one of each) have to work together/be on the run?? 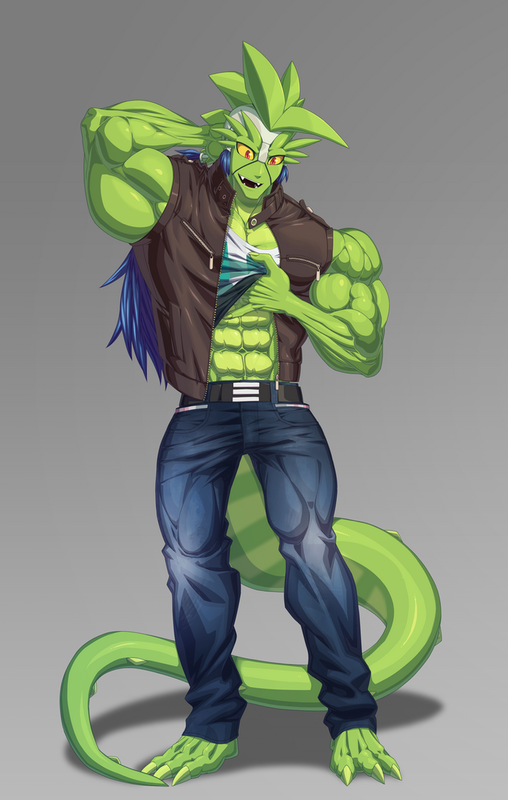 https://pre00.deviantart.net/a4fb/th/pre/f/2016/105/9/5/basford___muscled_terran_reptoid_by_mystery79-d9z29p3.png Could this work for you RP idea possibly? *raises hand and waves it around * oh, oh, pick me. I will create a child. that'd be awesome! ^^ can't wait to see your sheet!! Client to me: Why is my sugar so high? Me: What's your diet like? XD I'm so sorry that you have to deal with that. Also the milk. Milk has sugar. my spook! i've missed you! thinking of making a harry potter inspired rp... anyone wanna help me with ideas? GREAT Someone who shares my pain(s)! The Mechanist: It's modern (because modern is my fave) with a few fantasy elements thrown in there. Girls family gets kidnapped, and the one who has taken them is basically trying to get the main characters powers to activate so that he can steal them from her, and she has to go through hell and back to save them. I’m interested if you’re still looking for people. still wanna make a small group rp where we rp on site and talk over discord (its fun!) anyone wanna plan one with me? i just want a small group rp (on the site) where we chat on discord but i don't have any ideas for a plot yet. hmmmm. I'm at a standstill with this coding. I am so lost. xD Got a box to disappear! But how tf do I bring it back? Does anyone understand scripts that would be willing to chat with me (over discord or here in PM) and help me with them? itching to do a group rp. prob small one. summer based. small town? idkk. this sounds like it could be fun. maybe a summer camp or camping trip? Maybe like... summer before or after senior year camping trip with friends? I'm very willing to follow you around handing out compliments. I do it anyway. Hm, do you have any idea what their history would be? Like why they would be reincarnated in the first place? Or would they just be reincarnated every so and so years? 33 you're so vhefvfehj sweet! you are awesomeee and made me smile!